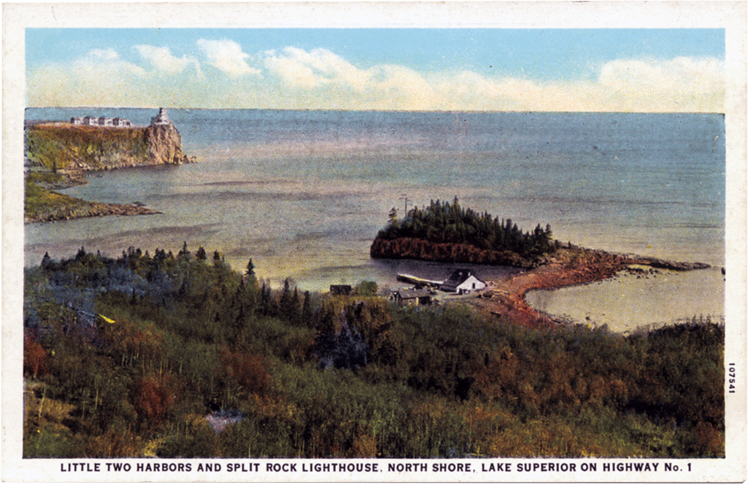 Little Two Harbors was once a Norwegian fishing camp kept by about fifteen herring fishermen who lived in tar-paper shacks. The tiny facility also allowed boats to bring supplies for the Split Rock Lighthouse keeper and his family. Only a few building foundations remain.